September 24th, 2009. New York City. Children's playroom in The Visionaire, a Manhattan condo building in Battery Park City. 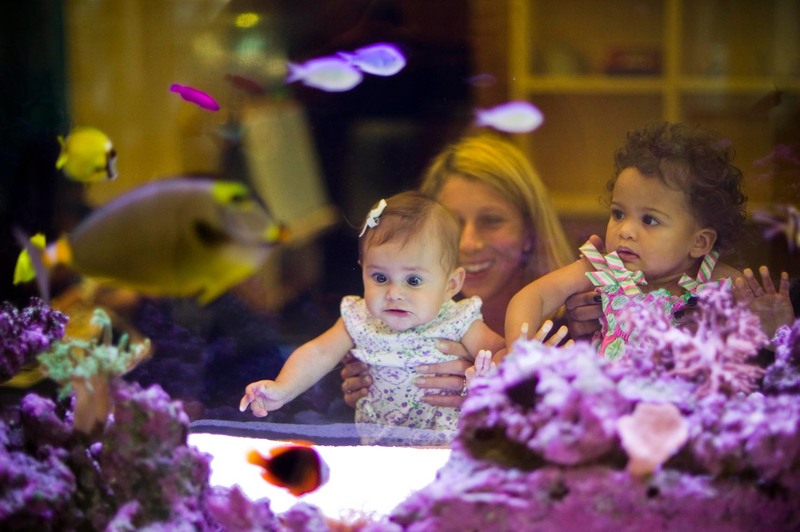 Here, (right to left) Morgan, 1, with her mom Michelle H., and Sophia Florez, 7mo., with her mom Heather Shaw, observing th fish in the playroom's 12' long aquarium. Piotr Redlinski for The New York Times.